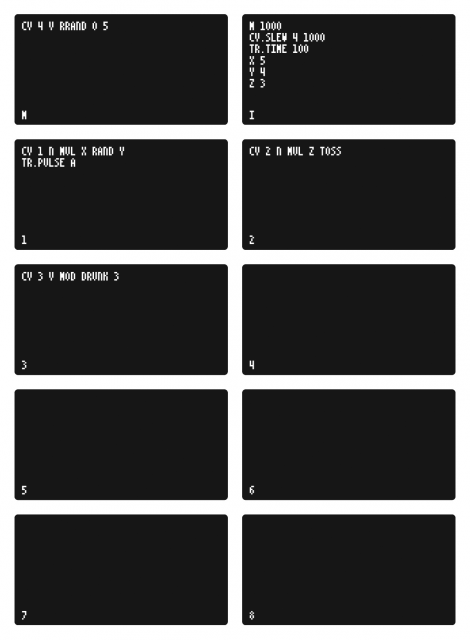 Teletype Studies Part 1 from tehn on Vimeo. We have inherited from the last century a whole language built from the archaic details of office machines. And we use all of these for music. We patch together telephone cords between modules, via the tactile interface once used to connect calls. We type on keyboards and point with devices like mice. We have grids of pixels, constructions that once plotted the trajectory of missiles before they were repurposed for simply games about missiles (and email, and Facebook, and everything else). We use code, and language, and turn dials, and press light-up buttons. What’s beautiful about the work of Brain Crabtree (tehn) on monome is the way in which all of this is reduced to its barest elements, like poetry. Teletype Studies Part 2 from tehn on Vimeo. Teletype Studies Part 3 from tehn on Vimeo. In “Teletype Studies,” you learn how to use code, typing ultra-simple commands in order to make music that evolves algorithmically. But you also see the elegance of some of the important musical objects of our time. A small shelf of Eurorack modules connected by a lattice of cables produces sound. 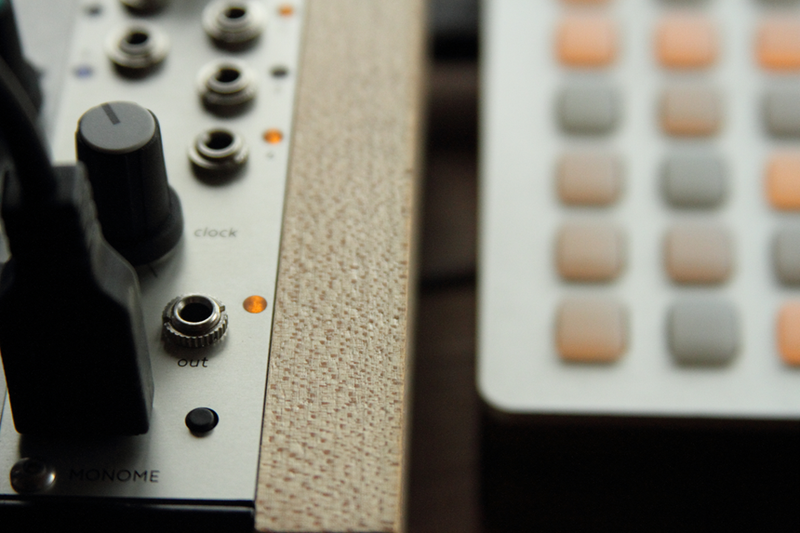 A monome grid acts as the world’s most minimalistic display/touch UI, its low-resolution grid blinking in time. A Roland Space Echo does a cameo with its rich delays. And the Teletype module and display sit mostly untouched, a few simple codes causing whole musical worlds to unfold. The cassette tapes, I assume, can be safely assumed to be nostalgic decoration, or perhaps a technological momento mori, reminder of the impending obsolescence of storage media and musical expressions themselves. It’s all old, but new, but somehow both. This is now how futuristic music looks today, precisely because it’s so mindful of the past. In some generations, you imagine someone will make this music in the way people pick up a baroque violin today. (Hopefully not in some post-apocalyptic bunker as one of the last surviving humans, but you get my point.) They’ll do so because typing some code and turning a knob and pressing a button are as second-nature as bowing a string. It’s fun to read the tutorials and understand the structure even if you’ve no intention to buy the hardware. And it is oddly entertaining. In a line or two of code, you produce lists, or do some math, or create edges and shapes. All of it then turns into musical patterns – some frantic and nervous, some slow and, well, noodle-y. And from the digital numbers and code, you’ll also be messing about with volts – there’s your analog bit. Turn knobs, produces voltage to run through wires, and the skeleton of the number and logic structure made in digital form turns into the analog synth-y stuff. Teletype Studies Part 4 from tehn on Vimeo. Teletype Studies Part 5 from tehn on Vimeo. plus part 2, part 3, part 4, part 5. Part 6 coming soon.